A small bamboo hut in the valley of Hin Lek Fai village is Tiwah Subsawanyas house. Tiwah is 54 years old. She is married to Korla Subsawanya (49), and they have four children: two daughters and two sons. 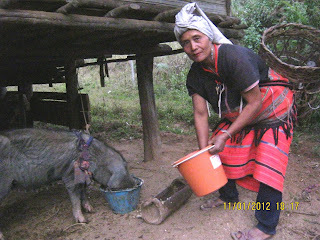 Her family lives at Hin Lek Fai Karen ethnic village, Doi Kaew sub-district, Jomthong district, Chiang Mai province. 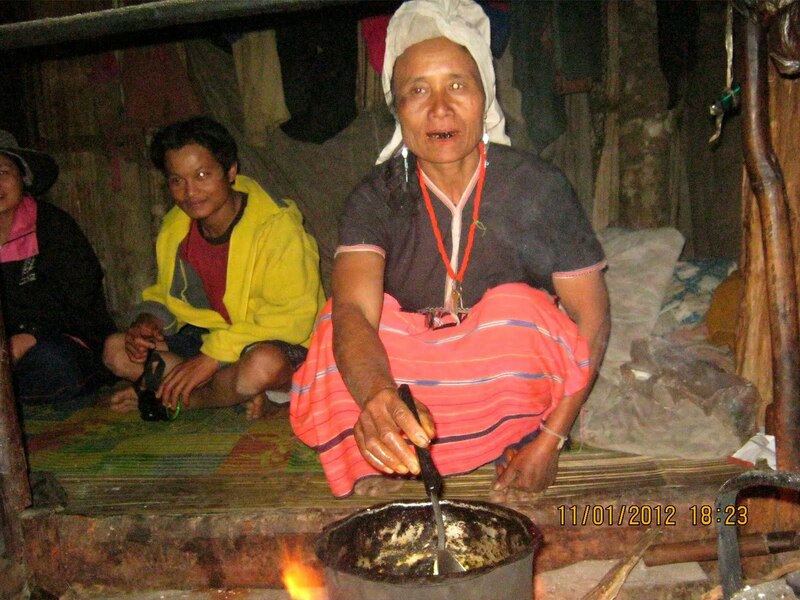 Their house is made from bamboo and grass thatch with a simple cooking stove in the middle of the house. This is not for only cooking but also keeping them warm during the cold nights. 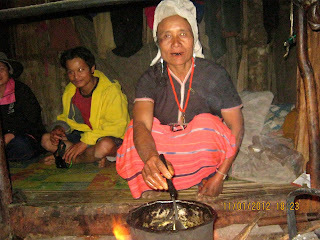 Their house is not like the typical Karen families whose kitchen is built separately from the house. But for them, this is home. Currently, there are three people living in the family home: Tiwah, her husband and her son. Their two daughters are married and moved out, and the youngest son is studying in Chomthong city. Their third son quit studying to support his family with farming and day laborer jobs. The familys diet is mostly wild and garden vegetables. They grow some vegetables and rarely eat meat because it is expensive. They earn their living from farming and daily labor. But, there is no daily job offered often, so each month they can generate about 500 Baht ($16.60) which is considered to be very low income. If there is a job available at a cabbage farm, we will go, but there are few jobs available lately, Korla Subsawanya says. In 2011, Tiwah joined the Capacity Building of Women and Youth to Develop Holistic and Sustainable Highland Agriculture System project. She received one sow and three piglets as well as a series of trainings. 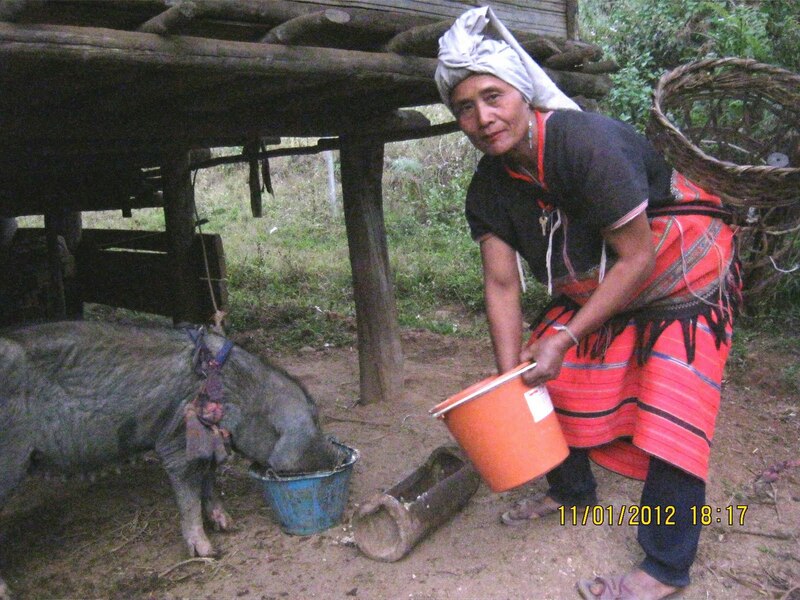 This project has assisted 76 Karen ethnic women and their families in rural areas of Doi Kaew Sub-district with livestock and kitchen gardens. The project has been implemented in two communities, namely Baan Huay Kanoon and Baan Hin Lek Fai. The project is focused on capacity building of women and youth, natural resources preservation, food security and organic farming. Tiwahs family is considered the poorest of these poor families, but with livestock, a kitchen garden and capacity enhancement activities she hopes that her familys living condition will be improved in the near future. Editor's note: This post is the first from India in a new series that follows the progress of specific families, starting at the beginning of their work with Heifer. Initially, this series will focus on our programs in Asia/South Pacific, where our colleagues have chosen one family in each region in the countries where we work and will bring us quarterly updates.